If you’re looking to go to school for machine trades and want to know what the general course curriculum is, you’re in the right place. While not every school is the same, this will be a good break-down of what most Tech schools and colleges that have a complete machining course will look like. For your first semester you will be taught machining 101. Before you even consider running a high-tech and expensive CNC machine, you need to learn how to cut, drill and turn parts on a manual mill, lathe, grinder, and any other process you may use in a shop. Machining, in a sense, is not very hard to understand. It’s just mill, drilling, reaming, and turning your part to the specified dimensions given to you on a blueprint, right? However, if that’s all it was, everyone would have their own shop and home and making a living in no time. Fortunately, for those that want to be properly trained, that’s not the case. There are some many variables involved when machining that you cannot become a highly skilled machinist in a matter of a couple years, even if you’re taught by a Class A machinist. Proper feeds and speeds, how certain materials react to different tools, how quickly tools wear out when doing production runs, how to hold a complex part to hold tolerances, or what to do if your endmill is chattering with the suggested surface foot. All of these things you will learn over time, but for now, you should try and take in and remember as much as possible in the first semester. Slacking off in Tech school is not a good idea, and the faster you learn the basics of machining, the quicker you will be to making a living in a real machine shop. Reading a blueprint is part of the basics that you must know how to do if you want to be a machinist. Telling the difference between a front and top side view is one of the first things you learn in school. However, some ‘machinists’ that have been in the industry for decades have a difficult time comprehending it. Dimensions, hole locations and tolerances, depth call-outs, and thread sizes are just some of the many things you will see on part blueprints. Math and basic trigonometry skills are also required to figure out part dimensions and angles. Have you heard the term “SohCahToa”? If not, it’s a good way to remember when and how to use your basic trig functions; Sine, Cosine, and Tangent. If you know how to use these functions to find the length of an unknown dimension or angle for programming purposes, then you’re ahead of the field. In addition, you’ll learn more about how different materials react and what ways to machine them efficiently. Using the right tooling is very important, and you will find out how many more machining tools can get the job done, and get it done in less time.learn more about workholding a part. Geometric dimensioning and tolerancing can be a fairly complex class at times. However, it is very important to know if you want to machine and inspect your own parts. Part of the class is theory, but a lot of it requires you to pay special attention to what the blueprint calls out. Flatness, perpendicularity, circularity, and straightness are just some of the callouts you may see on a part blueprint. A lot of them are straightforward, but it may result in you using special tooling to meet the specified tolerance. If not, you may end up with rejected parts and a lot of money wasted. Yes, we finally reach the first CNC programming class. No, you probably won’t be machining any/many parts on a CNC machine this semester, but you will do some simple navigating through the controllers to get a feel for how they work. For actual CNC programming your teacher will show you how to do all of the basic commands, functions, how to start up and shut down a machine/tool. Your third semester CNC class will be more out in the shop and doing learning hands-on. You learned how to program with G and M-codes, so now it’s time to put that to use in the real world. You will probably start out with a simple part to make, such as drilling holes in a square piece. You will have to hand-write the program, put it into the machine’s controller, set up the tools and offset, and run the part out. Over the semester you will be given more elaborate parts to make, which will build your confidence and skill the more you do it. 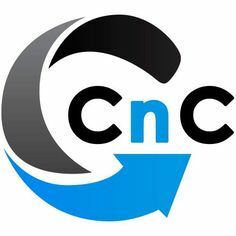 If you haven’t taken any CNC software training classes yet, you will be taking one now. CAD/CAM experience is very important if you want to be a programmer these days. Most of them are fairly easy to get used to. However, it is very easy to make bad programs and habits. This is why you should always learn how to manually machine parts and and hand-write programs before using a CNC machine or computer programming software. This is so you know how each part and tool will react and perform under certain circumstances. A lot of programmers have little machining experience outside of CAM/CAD software, making it hard to work with and run the job right without having to edit the programs. It’s just best if you start out at square one and learn things the right way the first time around. While you are practicing and becoming proficient at milling and turning on both manual and CNC machines, as well as writing your own programs from start to finish, it’s time to learn about proper part fixture and tooling. A square/rectangle part that has simple drilling and milling features can often be made with your typical 6 inch solid vise jaws. However, if you are profiling/milling the ends of a part, making a complete billet part, or have multiple operations that require a better way to clamp the piece down, simple vise jaws just won’t cut it. You need to make a fixture that can locate and clamp it with enough force without getting in the way of the cutting tools. This class will show you various ways of doing that. There is no ‘set way’ to workhold specific parts. Imagination will come into play here. “If you can think it, you can do it”. Two years is all it takes to get your complete AAS Degree in CNC Manufacturing, if you choose to go that far. It’s not easy for everyone, and many students drop out before getting here. But if you stick with it and enjoy it, I strongly encourage you to push through and work hard at learning as much as possible. The CNC Design and Manufacturing class is like the grand finale. This is where you put everything together that you’ve learned on manually mills, lathes, grinders, as well as CNC mills and turning centers and manufacture your own assembly of parts from start to finish to make a functioning work of art. You will also learn how to use additional machines, tools, and programming such as wire EDM machines, a CMM, and newer forms of programming. You can do a lot with 2 axis milling machines, but in this day and age, sometimes that just won’t cut it (pun intended). 3, 4, and 5 axis (and even swiss machining) classes are starting up in more Tech schools because they are much higher demand with bigger manufacturing companies. Multi-axis programming is definitely more difficult, but in the end, it’s all just numbers. You have to take your time, and learning how to do it efficiently and make money takes years. If you enjoy a challenge and want to strive in the industry like I do, I also encourage you to take the opportunity of learning mult-axis machining. The more you have on your resume, the more likely a company will consider you. Although you may not be able to do the programming/work on your own right away, they see that you have some experience and they won’t have to start from scratch, saving them lots of time and money. CNC Machinists are in high demand today, and if you are ready to start a new career, or if this is your first one, I highly recommend checking out your local Tech school!